An N-gram is a continuous series of letters or words. In linguistics, they are useful for gathering information about frequency of use. Google has an Ngram tool that uses more than eight million of the texts it has scanned, which is estimated to be six percent of all books ever published. I thought it might be interesting to compare four terms: book conservation, art conservation, book restoration, and art restoration. I selected the years 1900-2008 and added some smoothing to make the trends more clear. It is also possible to distinguish between English and American usage, though I didn’t do this. A couple of things jumped out at me. The use of the term conservation essentially overtook the term restoration in the mid-1970’s, which also roughly correlates with the beginning of professionalism in the field: the founding of the American Institute for Conservation (1972), journals, graduate schools, conferences, etc…. We see a peak in book conservation in the mid-1980’s. The Columbia University Library and Archives program was in full swing and grant money was plentiful. Microfilming was still the dominant method of reformatting. 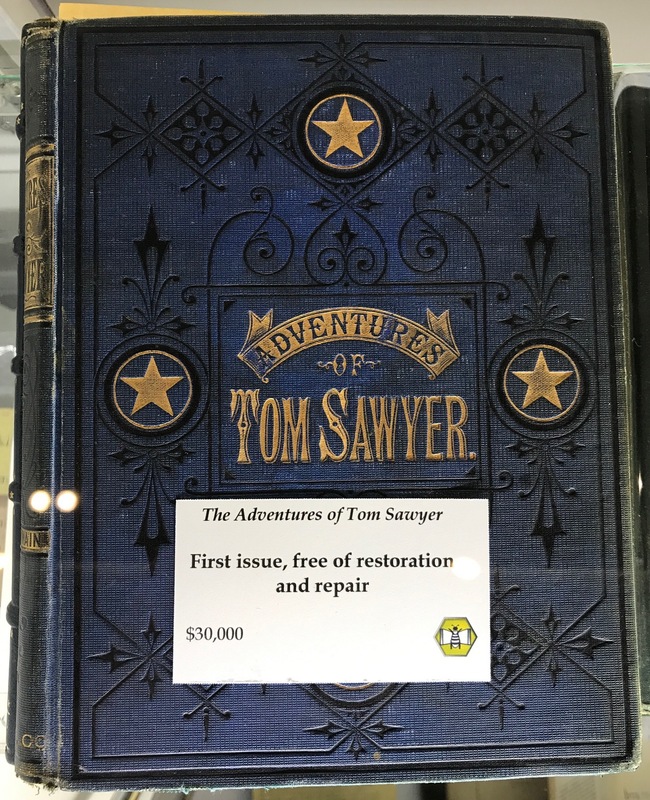 Book conservation, along with book restoration, has declined precipitously since this time. The term book conservation gets used roughly 25% as much as art conservation in 2008. It also seems to be on a bit of an upswing. For a short time in the late 1960’s and early 1970’s, book restoration was even more popular than art conservation. I’m not quite sure what explains this, the Florence Flood? Chance? It is debatable exactly how the frequency of these terms used in publications reflects the growth, size and public perception of the field. They also likely bear little resemblance to the actual practice of restoration and conservation. Additionally, I think journal articles are not included, as well as online sources, which might change things dramatically. My gut feeling, though, is that this graph roughly mirrors the popularity, size and funding for book conservation, which has declined significantly over the past 25 years. Art conservation seems to have declined less, but still significantly since 2000. But the frequency of these terms is still about half of the peak. It has often been noted that creating a written body of literature for book conservation is a necessary step towards professionalism and even some kind of certification in the United States, which currently does not exist. Are we farther away from that goal now than we were in 1985? Ngrams can be a pleasant time sink serious tool for the statistical analysis of use frequency patterns. Finally, we can answer such crucial questions as were The Beatles more popular than Jesus Christ?